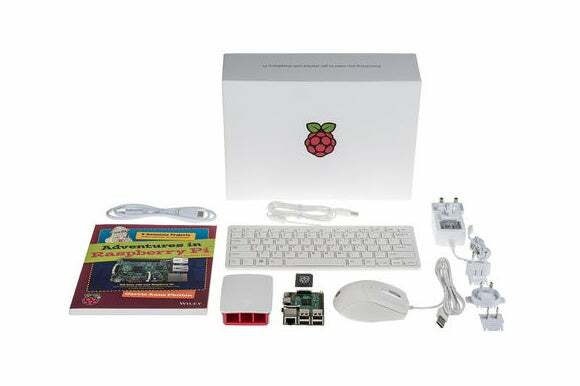 The official Raspberry Pi Kit is here with everything you need to get started with the mini-PC. The Raspberry Pi Foundation is celebrating a milestone. The organization recently announced it has sold ten million Raspberry Pi devices since the first versions debuted in 2012. “Thanks to you, we’ve beaten our wildest dreams by three orders of magnitude,” Raspberry Pi founder Eben Upton said in a blog post. To commemorate the milestone, Upton announced the very first official Raspberry Pi Starter Kit. Why this matters: With its original mini-computers, the Raspberry Pi Foundation kicked off a revolution in low-priced computing for students and enthusiasts. Hobbyists have used the Raspberry Pi for everything from autonomous drones to smart mirrors to high-altitude balloons—not to mention its popularity as an everyday HTPC or the power behind a retro-gaming set-up. The Raspberry Pi hobbyist trend is so popular it even prompted Microsoft to roll out a version of Windows 10 tuned for developing Internet of Things devices. 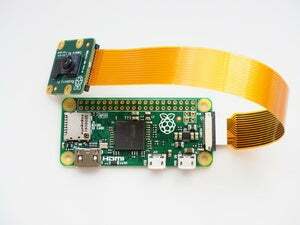 Microsoft also rolled out a Raspberry Pi development kit of its own in early September. Unlike buying the plain old $35 Raspberry Pi 3 Model B board, the Starter Kit is a little on the pricey side. The kit is on sale for £99 in the UK, meaning that when it rolls out to the U.S. in the coming weeks the kit will probably sell for about $140. For that money you’ll receive everything you need to use the Raspberry Pi for basic coding. The Starter Kit includes a Raspberry Pi 3 Model B, a case for the board, and an 8GB SD card with the NOOBS operating system pre-loaded. For peripherals, you’ll get a mouse and a keyboard with scissor-switches—the keyboard looks similar to Apple’s wireless keyboard. There’s also an “official” 2.5 Amp power supply with multi-region adapters, an “official” three-foot HDMI cable, and a copy of the book Adventures in Raspberry Pi, 2nd Edition by Carrie Anne Philbin, who is Director of Education at the Raspberry Pi Foundation.